Demonstrate with this tool how data can be spread so that it is more useful in making predictions. 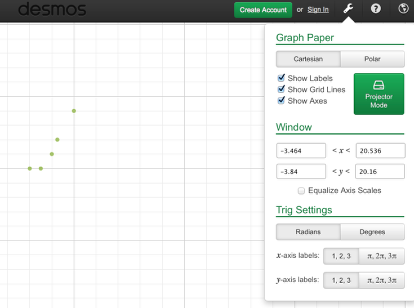 Click on the link below for the "2-107 Teacher eTool (Desmos)." 1. The data is crowded toward the vertical axis, so it is not particularly useful for making predictions. Click the wrench at the top. 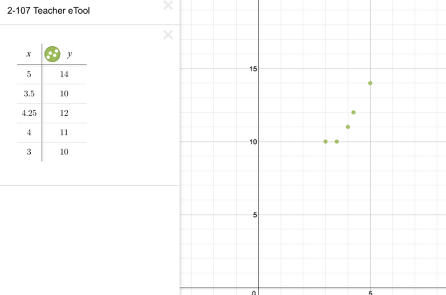 Change the scale for the x-axis. Click the wrench to close. 3. The new window is easier to view.